Quake might be one of the most influential shooters of all time. In large parts due to its engine. The now iconic shooter was one of the first to boast a fully 3D environment, utilizing 3D polygon models instead of sprites for characters and items. Around the same time, 3D Realms released a shooter just as influential. 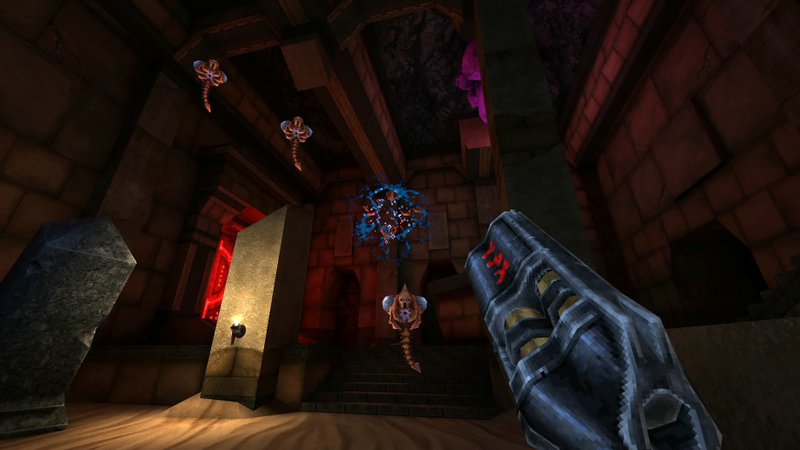 While Duke Nukem 3D utilized a less graphically impressive engine, it was still an important game for its interactivity and its focus on levels that were more grounded in reality. The two games were definitely seen as competitors at the time. You were either a Duke fan, or a Quake fan. 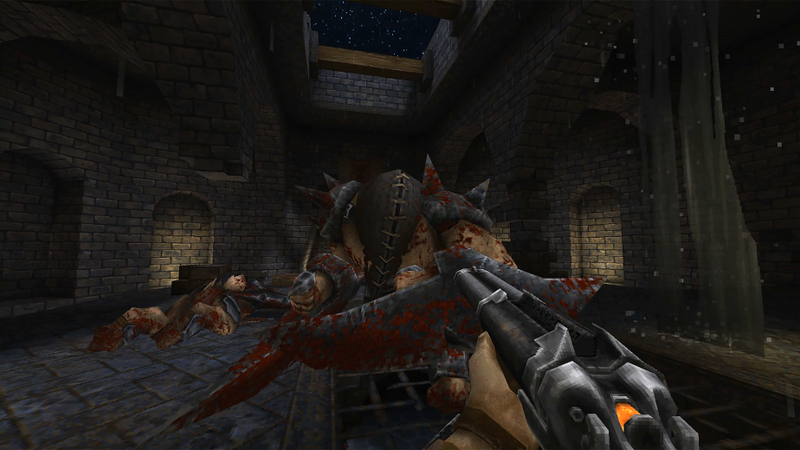 Quake fans would often detract Duke 3D for its simple graphics, while Duke fans would criticize Quake for its monochrome palette. Flying enemies. No classic shooter complete without them. It’s therefore not without a certain degree of 90’s irony that 3D Realms, 23 years later, have announced a shooter using the same engine that powered its main competitor of 1996. 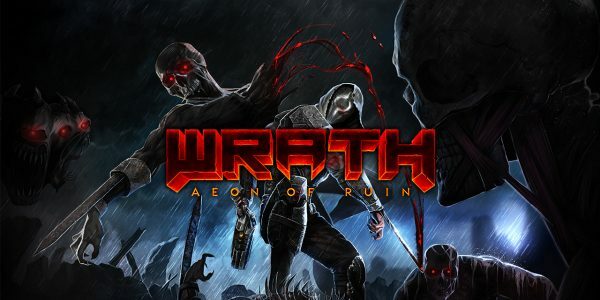 Developed by KillPixel, “WRATH: Aeon of Ruin” is a brand spanking new shooter made entirely using the Quake engine. And so far it’s looking pretty freaking awesome. Similar to 3D Realms’ other project, Ion Maiden which itself uses the same engine that powered Duke 3D, WRATH takes old technology and uses it as an artistic style. The Quake engine with its sharp polygons still has a unique look to it. And it’s that look that helps give WRATH that “lost game from the 90’s” look similar to Ion Maiden. Digging that shotgun. And whatever that monstrosity is. Judging by the trailer, we can expect some Andrew Hulshult goodness in terms of soundtrack. And the game seems pretty heavy in the gore department too, which should be expected from 3D Realms at this point. In addition to a PC Steam release, the game will also be coming to Nintendo Switch, PS4 and XBox One courtesy of 1C Entertainment. It seems out first taste of WRATH will be coming summer 2019 so it’s best to keep your eyes open for this game if you’re at all a fan of oldschool shooters.